Did anyone else read Circus magazine? Discussion in 'The Sound Hound Lounge' started by sausagefingers, May 16, 2010. I used to pour over these when I was first getting into music, especially to get lyrics...I guess they were really the young male equivalent of Teen Beat. I remember these issues--anyone else? I remember Circus. I always looked forward to Creem Magazine each month and later, Trouser Press. Yes, from Summer of '73 until around '78. Read Circus Raves, too. Yeah, late '70's I used to get them, especially anything with Kiss or Zeppelin. Never missed an issue, wish I still had them, it would be great to go back and read them now. Was stationed overseas and we subscribed to Creem, RS and Circus - kept us in touch with America more than Time magazine! Or the part of America we wanted to know. My walls were covered with pics from Circus, Hit Parader and Creem in the early 80s. It's one of the ways I learned about new bands back in the day before the interwebs. Yup-I had every issue from 1980 through the mid 80's. Some great gear shots and cool bands-the metal years were good. I grew up on the mid 80's circus....good times! Loved that magazine.....From around '75-'83 I waited each month for it to come out. Hell yes, I sure did. 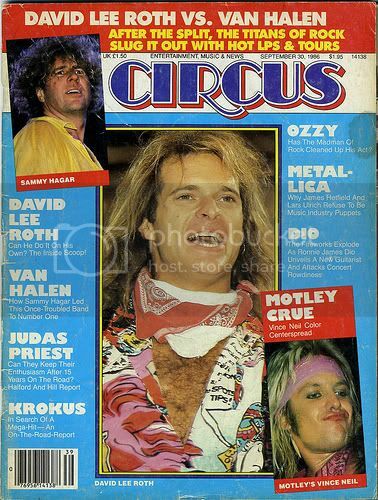 I read Circus and Hit Parader cover-to-cover every month from about '83-'88 (ages 12-17). I loved it! I used to save my lunch money for a day or two so I could get that month's issue. I read them all. Apparently I saved them also. I visited my mom last year for the first time in about 10 years. I found a box full of these old rock magazines. 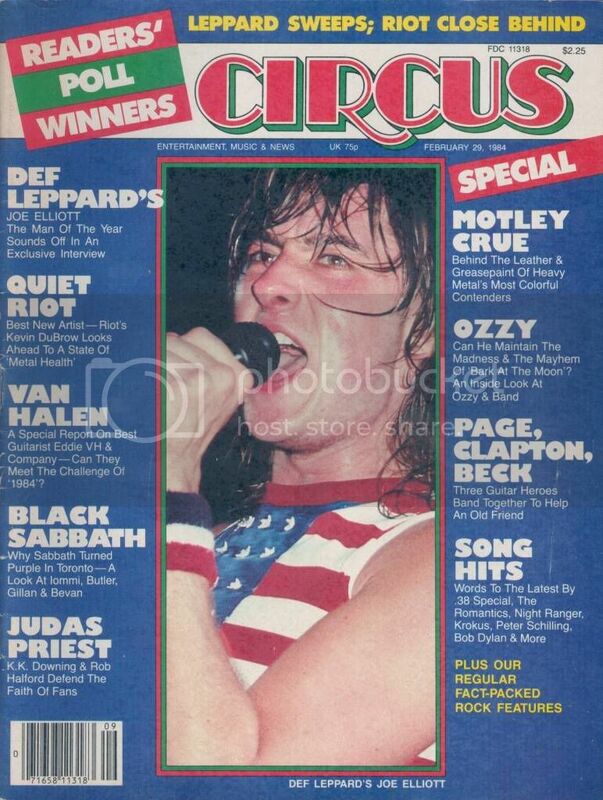 Circus and Creem,, yes .